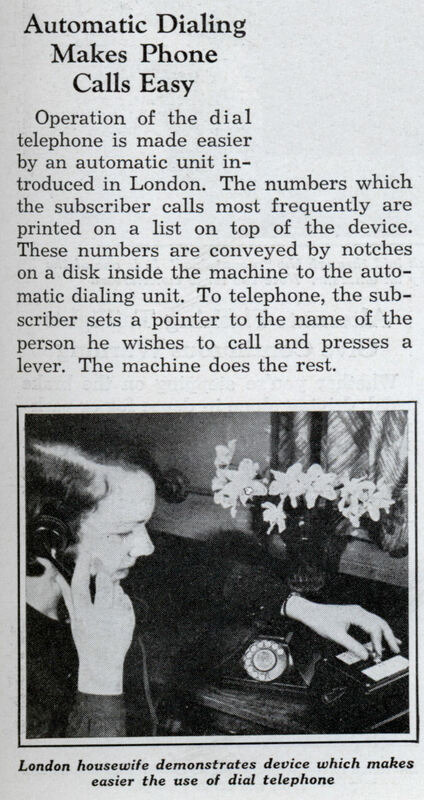 Operation of the dial telephone is made easier by an automatic unit introduced in London. 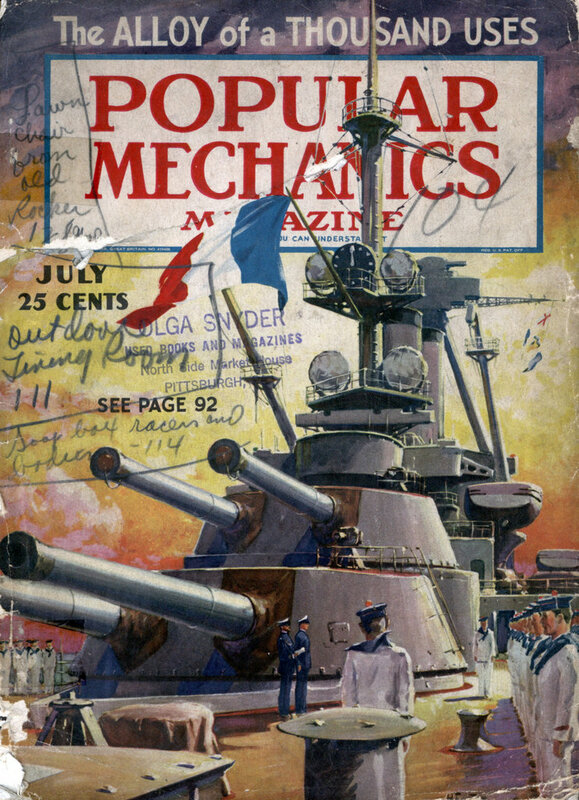 The numbers which the subscriber calls most frequently are printed on a list on top of the device. These numbers are conveyed by notches on a disk inside the machine to the automatic dialing unit. 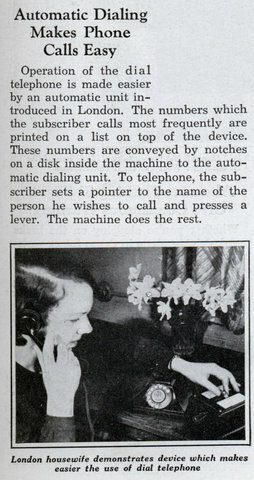 To telephone, the subscriber sets a pointer to the name of the person he wishes to call and presses a lever. The machine does the rest.